Qualitative Work Immersion Programs are considered a useful instrument that bridge between school and professional life which can be used by the school in order to develop appropriate skills among students aimed at increasing their employability chances on the very competitive labor market. 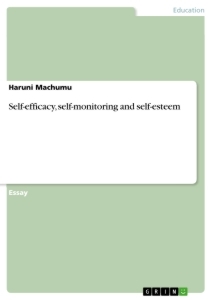 According to Wood & Bandura (1989) as cited in Machmud (2018) states that perception in completing a job is self-efficacy. Moreover, self-efficacy relates to someone's confidence in achieving his/her duties in uncertainty. While Bandura (1997) as cited in Domenech-Betoret et al. (2017) deﬁned self-efficacy as “an individual’s belief in his or her own ability to organize and implement action to produce the desired achievements and results”. Self-efficacy is one’s faith in accomplishing task successfully. Learners automatically adjust and adopt the new environment they are in for them to finish the immersion program while developing their efficiency. The study was conducted to identify the level of self-efficacy and work immersion satisfaction and determine the degree of their relationship. The result of the study could help in collaboration with the school head and administration for them to generate innovations or strategic design for Continuous Improvement Plan that would serve as one of the best practices of the school. The outcomes of the study can be of interest for the institution and can be taken into consideration when formulating and proposing improvement recommendations of the policies, regulations and operational measures in this field that would serve as best practices of the school. Class advisers, work immersion teachers and coordinators, industry partners as well as parents and guardians played a vital role in developing learners’ self-efficacy. Parents’ upbringing influenced the level of learners’ self-efficacy. Home is a primary place where learners’ personality development take place. Proper parenting contributed a lot to learners’ self-esteem. Teachers at school nurture the talents and skills of every learner. They are responsible in instilling the required competencies in every strand of senior high school curriculum. Proper orientation of learners before work immersion deployment contributed a lot to the readiness of the trainees. Emphasizing the importance of task completion and self-efficacy to each trainee helped in accomplishing the work immersion program successfully. Work immersion teachers and coordinators should develop a program focusing on the development of self-efficacy of the learners before their deployment to different industry partners. This program would help learners to trust their own ability and develop their self-confidence. Thus, learners would be encouraged and satisfied to be active and motivated to finish work immersion program. The satisfaction that the learners’ experienced, the knowledge, skills and attitude they acquired from the actual work environments would inspire them to pursue higher education, others would engaged in entrepreneurship and some would find an employment. 1. What is the Self-Efficacy of the students towards work? 2. What is the level of work immersion satisfaction of the students in their respective workplace? 3. What is the relationship of Self Efficacy and Work Immersion Satisfaction of the students? 4. Based on the result of the study, what Continuous Improvement Plan may be proposed as part of the Best Practices of the school? The participants were Grade 12 General Academic Strand students who underwent Work Immersion Program on the 3rd Quarter of SY 2017-2018. The total population of this strand is 249, however, only 164 students voluntarily participated the study. Since they belong to this strand, most of them are not certain yet on what course to take in college. Total enumeration was used in sampling procedure. The Self-Efficacy Questionnaire and Work Immersion Satisfaction Scale were developed and used in gathering data, content validated by the experts and implemented pilot testing to establish its reliability or internal consistency. Then, all students from General Academic Strandwere given the Self-Efficacy and Work Immersion Satisfaction Scale. 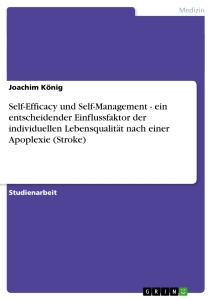 In this study Work-related Self-efficacy refers to one's confidence in executing courses of action in managing a wide array of work immersion situations, it also pertains to the level of confidence and self-perceived ability to develop skills as required and expected in their workplace experiences. Self-efficacy has been widely established in the literature as a critical construct within Albert Bandura'ssocial learning theory. Table 2 shows that the mean score of work immersion satisfaction of GAS students is 4.11 which indicates a High Satisfaction with such happiness is scored 4.64 as ranked 1 in item #1 followed by feeling proud to exercise skills during work immersion (x̅=4.37) in item #3. Ranked 3rd is item # 14 that they improve the basic level of ability for advancement because of work immersion (x̅=4.34) followed by item # 10, they believe that being happy in the work immersion could be a stepping stone for the success of chosen career (x̅=4.30). Ranked 5th is item #13 that they can improve themselves to become a better person because of the work immersion experienced (x̅=4.23) followed by item #15. fully satisfied t with ability, it can contribute in the workplace because of the experience in work immersion (x̅=4.13). Ranked 7th is item #12 that they are satisfied in the nature of work in the immersion (x̅=4.23) followed by item #4 that theyfeel satisfied with the experience gained in the work immersion (x̅=4.07) and item #5 that they can’t describe the happiness having experienced the work immersion (x̅=4.06). Ranked 10th is item #8 that they believe that experience on work immersion, can achieve the set goal/s (x̅=4.04) followed by item #11 the satisfaction in the work immersion increases each day.(x̅=4.01). Ranked 12th is item #2 feel contented with the knowledge gained from work immersion (x̅=3.97) followed by item #7 that they are ready to pursue the career path to choose because of the training in work immersion (x̅=3.93). Ranked 14th is item #9 that they are certain that they can be successful in whatever career path they choose because of the experience in work immersion (x̅=3.78) Finally, last in the rank is item # 6 that they are confident enough to face the real world because of the experience gained during work immersion (x̅=3.67). Immersion experiences are a form of experiential learning which typically involve intensive educational instruction and exposure to complex social issues, often taking students outside of their “comfort zones” to critically examine their own pre-conceived notions and biases. 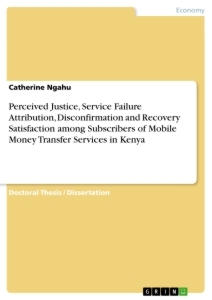 Beyond case studies and other more qualitative work (e.g., Jones, Rowan-Kenyon, Ireland, Niehaus, &Skendall, 2012). It can be concluded that students are happy to experience learning outside the four corners of the classroom, they need exposure and learning the skills cannot be confined in classrooms where the environment is too limiting. Table 3 shows that Work-Related Self Efficacy (x̅=4.16) has a σ=.4571; while the Work Immersion satisfaction ((x̅=4.11) has a σ=.496 which indicates that the score of the latter is spread out. The table also shows a positive linear stronger correlation of .532 between work-related self-efficacy and work immersion satisfaction with a p value of.001 which is lower than .05 which rejects the null hypothesis. It can be concluded that that there is a significant correlation between work-related self-efficacy and work immersion satisfaction. As the work- related self- efficacy increases, the work immersion satisfaction also increases and vice versa. It further recommends continuing the monitoring of Work immersion coordinators to enhance students’ skill as well their work-related self-efficacy. The school may continue to establish linkages, increase supportive stakeholders and other immersion partners that will enhance students’ skills and further develop their work-related self-efficacy to become more productive as they practice their profession in the real work setting. The self-efficacy and work immersion satisfaction are helpful in distinguishing some of the other constituents necessary to develop a work self-efficacy. However, that it is not sufficient to "empower" students and expect improved work performance/ skills without considering individual differences that might be differentiated by self-efficacy and related constructs. A published article from International Journal of Sociology and Social Policy describes a study constructed on the self-efficiency of adolescent, especially on high school teenagers, with previous work experience. The study showed that those with employment lasting for a firm duration than those with random pattern of employments has a stronger self-efficiency. In turn, the heightened self-efficiency increases the confidence level of young adults for the future anticipations of family lives, community participations, personal health and economic achievements (Cunnien, Rogers, & Mortimer, (2009). 1. When the respondents have a high level of self-efficacy, they are confident, they are aware of the duties and responsibilities as expected of them, they have high regard to self and positive outlook towards own efficacy and capacity. 2. A high level of work immersion satisfaction would mean that the respondents enjoy the learning experience in the work place that made them worthwhile, they got the chance to see their career path in the near future. 3. A strong positive correlation between work-related self-efficacy and work immersion satisfaction mean that there is a direct association between the two variables, as the work-related self-efficacy goes high, the work immersion satisfaction also gets high. The level of work immersion satisfaction relies/depends on the level of work-related self-efficacy of the respondents. 1. Proper orientation and trainings of learners prior to their work immersion would help accomplish their tasks easily and finish the program on time. 2. Regular monitoring of learners and coordination to industry partners of the immersion teachers and immersion coordinators would maintain harmonious relationship on both sides. 3. Trustworthy and long-term partnership between the schools and industry partners is ideal for the realization of the immersion program of the current and incoming learners. This study may generate innovations in policy and strategic planning for continuous improvement plan of the school. It can be replicated by other schools as best practices and it will be presented during the institutional, regional or any national or international conferences to disseminate this information that may help immersion teachers, program coordinators, school heads and school administrators. Bandura, A. (1978). Reflections on self-efficacy. Advances in Behavioral Research and Therapy, 1(4), 237–269. and self-efficacy. "International Journal of Sociology and Social Policy", 29 (3/4), 164-175. Jones, S. R., Rowan-Kenyon, H., T., Ireland, S. M., Niehaus, E., &Skendall, K. C.
programs. 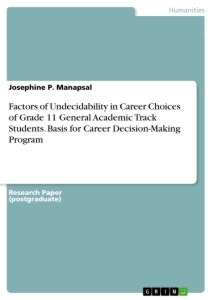 Journal of College Student Development, 53, 201-220. doi: 10.1353/csg.2012.0026.